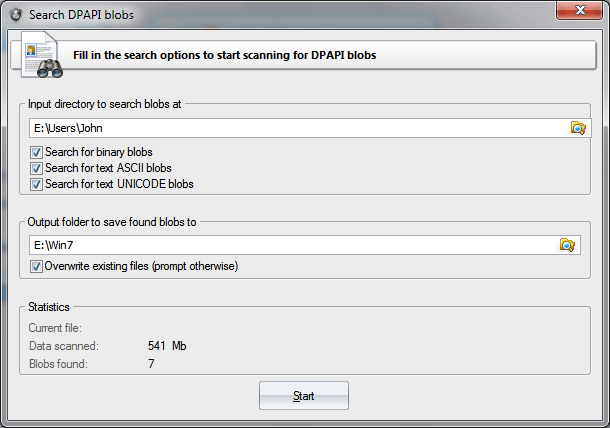 The DPAPI blob search dialog is rather trivial. All you need to specify is the source folder, which the program would search for DPAPI blobs, and the target folder, where found blobs are to be stored. The program searches for both binary and text blobs. Keep in mind that if you want to search for blobs in current user's registry or in the Active Directory database, you should first back up the files to a separate directory.